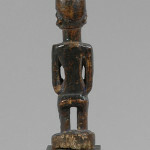 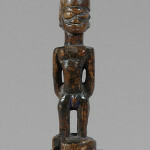 An interesting male figure in black brown patina, traces of blue paint in the groin, crude forms, simplified face and topped by a flat or crested hairdo (or a hat or cap), well-built torso with hands behind his back. 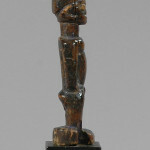 Legs planted in a round base (lacking a piece). 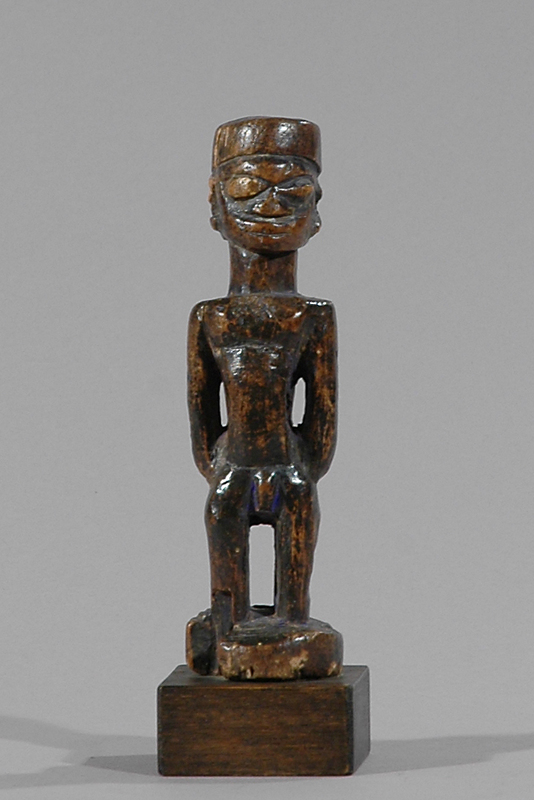 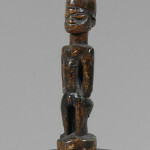 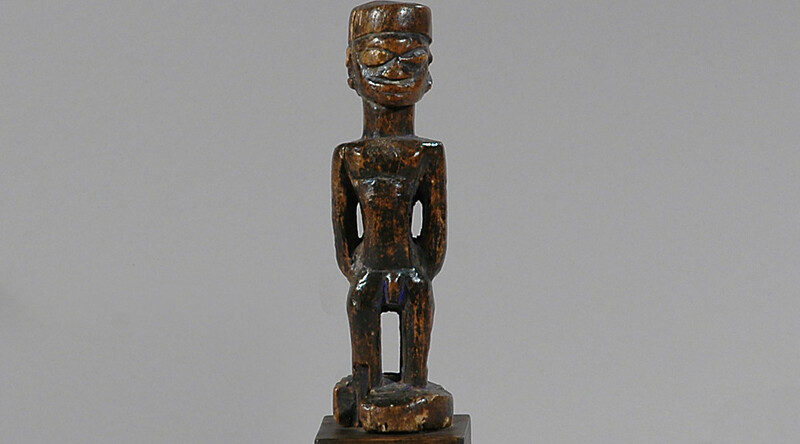 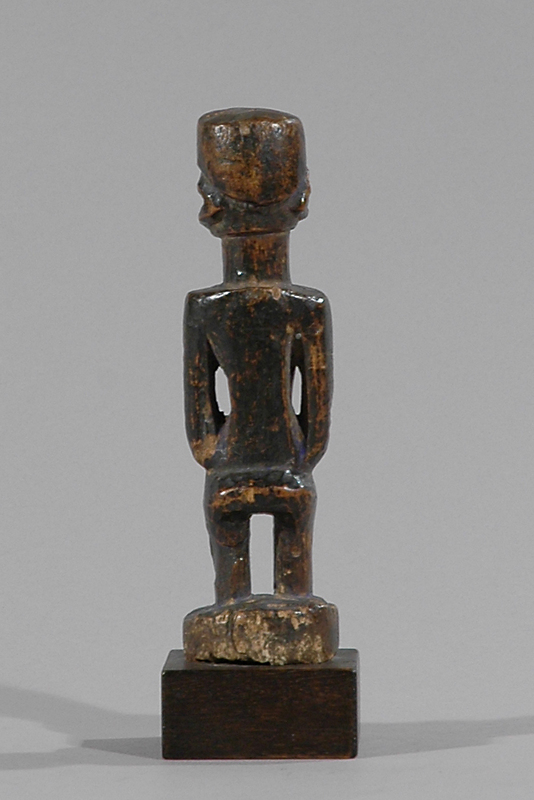 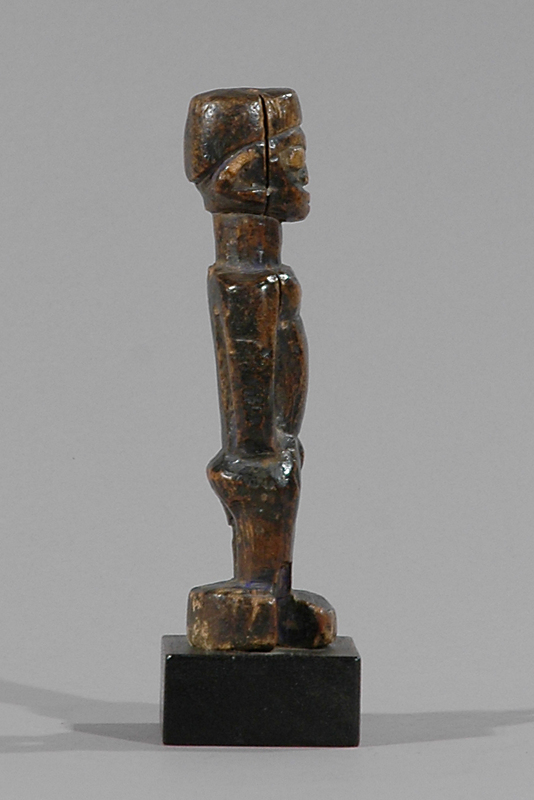 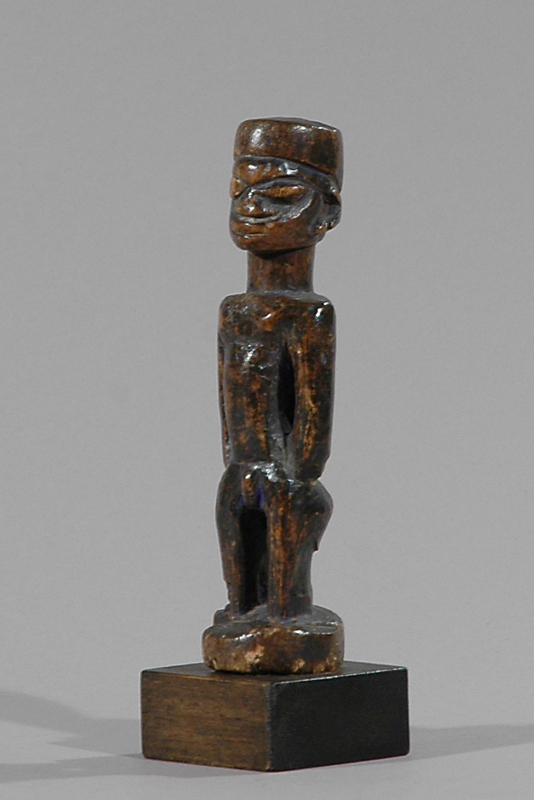 Sculptures like this were used in divination rituals, which purpose it was to find the cause of illness, as well as healing.